Phillip Schofield is a 56-year-old English broadcaster and presenter. He first came to fame during the 1980s and early 1990s as the face of Children’s BBC, before moving into West End stage shows. He is known as the face of long running ITV daytime show This Morning, alongside Holly Willoughby. Phillip Schofield was born in Oldham, Lancashire, on April 1, 1962. He grew up in Newquay, Cornwall and went to Trenance Infant School and Newquay Tretherras School. When he was 15 years old, he had his first media job at a Sunday show on Hospital Radio Plymouth. At 17, Schofield, after writing letters to the BBC, joined up as a tea boy and clerk at the broadcasting corporation and became the BBC’s youngest ever employee. At age 19, he moved to New Zealand and became the face of the pop culture show Shazam! from February 23, 1982. In 1985, he returned home and became the first in-vision presenter for Children’s BBC on weekdays between September 1985 and 1987. He has been the face of many shows since the late eighties, including National Lottery Winning Lines, Test the Nation, The Cube and Dancing On Ice. 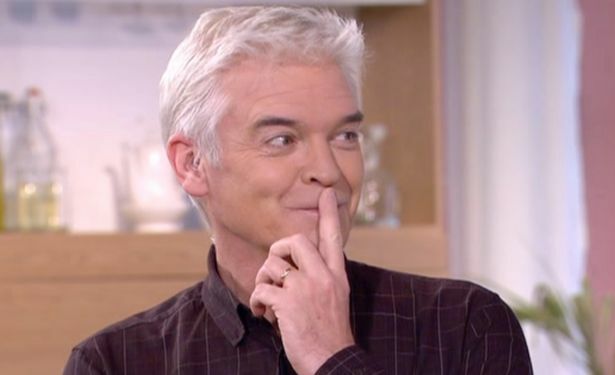 How much is Phillip Schofield worth? According to the Richest, Phillip Schofield is worth £9.2 million, which he has mostly amassed from his contract at This Morning, plus his smash hit theatre performance in Joseph and His Amazing Technicolor Dreamcoat, directed by Andrew Lloyd-Webber. In March 2016, he reportedly signed a £2 million contract last to keep him with ITV for another two years. How old is Phillip Schofield wife? The age of Phillip Schofield’s wife Stephanie Lowe is a closely guarded secret online. However, the pair met through his work on television as she was a Production Assistant for the BBC. They married in 1993 and have been together 25 years. They also have two children, Ruby Lowe, born in 1996 and Molly Lowe born in 1993. Where Does Phillip Schofield live? Phillip and his wife Stephanie live in Henley-on-Thames, Oxfordshire, southern England, in a renovated farmhouse. The house boasts a large conservatory, with tiled floors throughout and a large garden. No. Phillip Schofield is not gay, He is married to Stephanie Lowe and the pair have been husband and wife since 1993. But, Phillip is known for his left wing and inclusive ideals, regularly interviewing people from the LGBT community on a range of issues, including trans and gay people. During one infamous episode of This Morning, Schofield came to blows with a guest, Christian Concern chairwoman Andrea Williams, who expressed anti-trans views and claimed it was not good for children to identify as homosexual. Schofield called her views “abhorrent”. Is Stephen Mulhern related to Phillip Schofield? No, although both of the presenters look strikingly similar and also share the same mannerisms. But, however, they are not related. Stephen Daniel Mulhern was born in Stratford, east London, on April 4, 1977 to parents Maureen and Christopher Mulhern. Does Phillip Schofield dye his hair grey? Yes. In 2014, a fan asked Phillip “What do you use to dye your hair?” to which Phillip replied: “L’Oreal Arctic Blonde.” It is said that Phillip does this to give his hair colour a distinctive brightness. On top of this admission, in an episode of This Morning two years later, Phillip – often dubbed a “silver fox” – revealed that he started getting his first grey hairs when he was 16. “By the time I was 22, 23, there was quite a lot,” he revealed on June 9, 2016 to co-presenter Holly Willoughby. No Phillip Schofield does not smoke. On March 11 2014, Phillip – after reading an article in the Metro that claimed he smoked – took to Twitter and said: “Good work @neilsean1 in The Metro, apparently, I have a 40 a day cigarette habit!! I don’t smoke you pillock!” However, Phillip’s co-presenter on This Morning, Holly Willoughby, is said to be a smoker and she has admitted to finding the habit difficult to break. 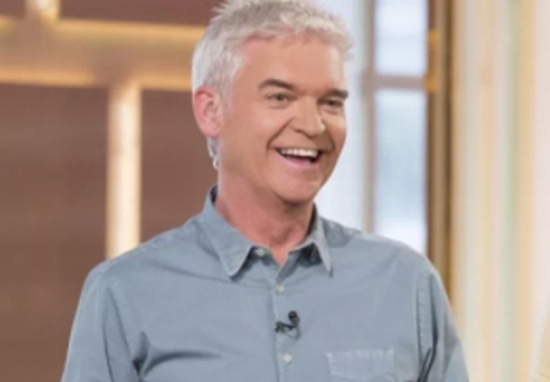 Does Phillip Schofield have a dark past?